Below are just a few samples of layouts you may use to create personalized, custom embroidered field hockey sweatshirt blankets. 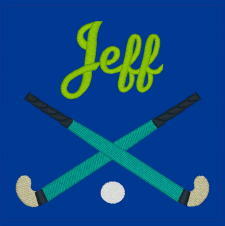 The images below are intended to simply provide you with an idea of some of the many options you have for embroidery on your custom field hockey sweatshirt blanket. 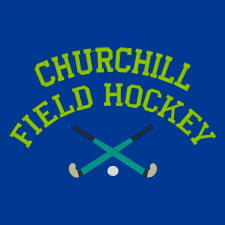 You may choose one of these layouts or design your own custom field hockey sweatshirt blanket. The text, embroidery font, embroidery thread color and overall size are all customizable. You do not have to order an embroidered sweatshirt blanket exactly as you see it on our site. 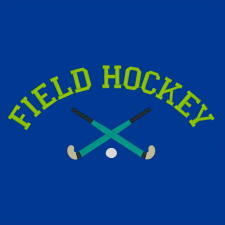 You can alter any of the afore mentioned options to suit your needs and to create a personalized custom field hockey sweatshirt blanket. Choose or design a layout, pick a sweatshirt blanket color, embroidery thread options and personalized text and fill out the fleece blanket order form.